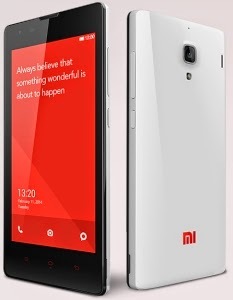 The dual-SIM (Micro-SIM) Xiaomi Redmi 1S with dual standby was first announced for China in May, and features a 4.7-inch 720x1280 pixel IPS-LCD display with Corning Gorilla Glass 2 protection and a pixel density of roughly 312ppi. It runs on Android 4.3 Jelly Bean with MIUI skinned on top. Xiaomi's Redmi 1S (left) is powered by a 1.6GHz quad-core Snapdragon 400 SoC, coupled with Adreno 305 GPU and 1GB of RAM. It has 8GB of built-in storage that is expandable via microSD card (up to 32GB). The Redmi 1S also features an 8-megapixel rear autofocus camera with flash, alongside a 1.3-megapixel front-facing camera. There are likely to be surprises at the event as far as the pricing is concerned, since at the time of the Mi 3 launch in India, Xiaomi had announced that the Redmi 1S will be available at Rs. 6,999.